DartConnect – Perfect Your Game! Over 185 Million Darts in 2018! 2-5 July – Mandalay Bay – Las Vegas! 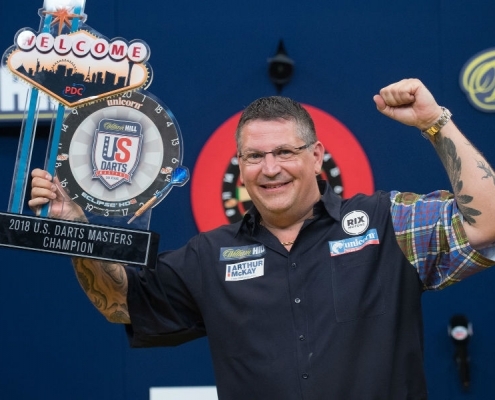 The PDC’s annual World Series of Darts Festival is almost here! Who are North America’s top contenders? Over 300 players from 17 countries. FREE DartConnect TV Fan Alerts! Do You ❤ The Darts? 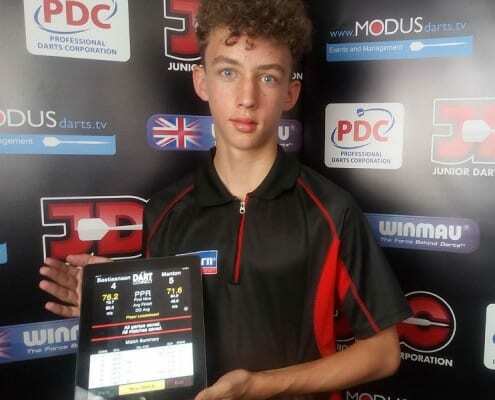 The PDC Development Tour allows players aged 16-23 the chance to compete in a series of 20 tournaments throughout 2019. Tournaments will be held over five double-header weekends, which each feature four events as two are held per day. All matches will be available exclusively on DCTV. Sign up for Free Fan Alerts to follow your favorite players. 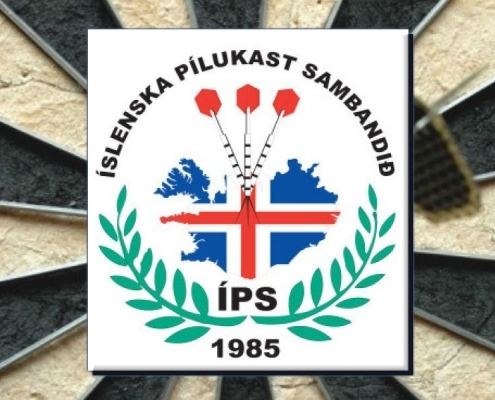 Nordic and Baltic players compete in group play stages leading to knockout rounds for this favorite Easter weekend event in Mosfellsbær. Friday features an open event, Saturday Mens and Women’s singles and Sunday reserved for pairs. Top professional hopefuls from throughout the world compete for a coveted 2-year tour card for the PDC Pro circuit. Two winners per day will be awarded a card plus additional chances based on finishing results. Follow every hard-fought win with LIVE scoreboards and stats from EVERY match. All matches will be avaible exclusively on DCTV. One of the top major events servicing the southern states of the USA. 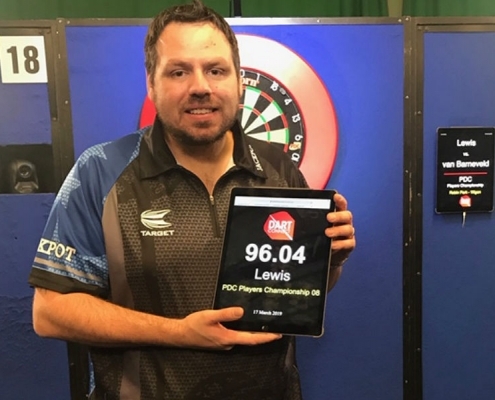 Players will gather to play in the singles 501 to bolster the position on the PDC North America Power Index ahead of the Las Vegas qualifiers. Live scoreboards from EVERY board exclusively on DCTV. 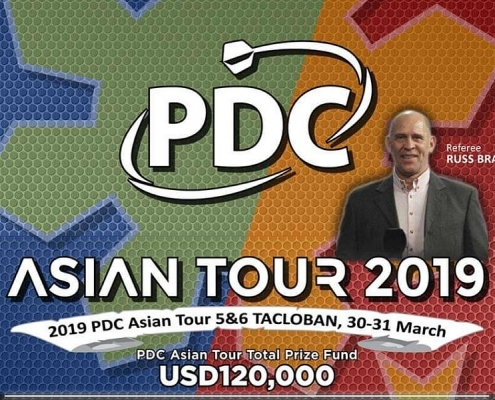 Building on a very successful 2018 debut, the PDC Asian Tour is back with the region’s top players to show they belong among the world’s steel tip elite. Follow every hard-fought win with LIVE scoreboards and stats from EVERY match. 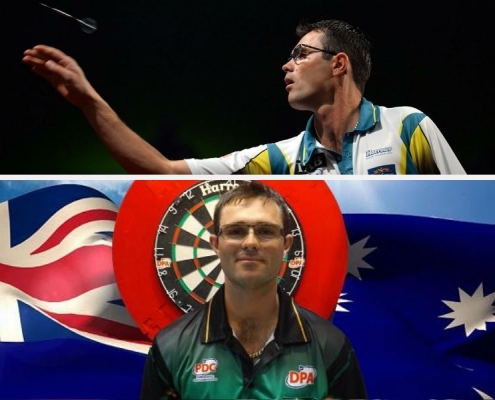 Australia’s top professional players compete for prize money, to secure invaluable ranking points and to earn a shot at qualifying for the world championships. Scandinavian and Baltic professionals gather to compete at the highest level with a platform to further the development of local talent. One of 15 weekends throughout the year for PDC Tour Card Holders where prize money counts towards the Pro Tour Order of Merit. The World’s top professionals jockey for position while newcomers seek to topple established veterans. 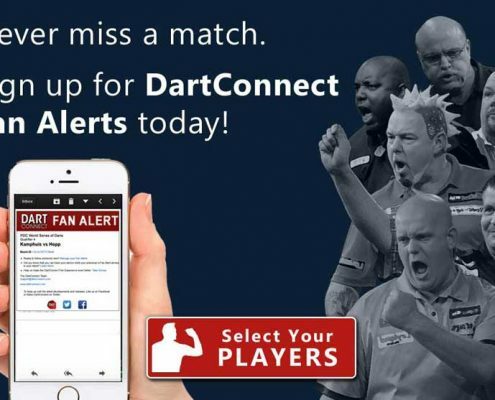 Sign up for Free Fan Alerts to follow any of the PDC’s 128 Pro Tour players. New York’s finest take aim at capturing prize money and tour points that go towards qualifying for the challenging grand finals at the end of the year. The Junior Darts Corporation (JDC) brings the top youths from the UK and throughout Europe together to test their skills in an environment meant to prepare them for future professional competition. The 2018 Dart Players Chicago chapter finishes out the year with the Top 16 ranked players competing for the tour championship. The DPLA Tour gathers the best players from the western coast of the United States to provide invaluable long format experience and a stepping stone to higher levels of play. The regional Dart Players Tours bring professional-style long format 501 tournaments to top players in their local region, providing invaluable experience for top-level national and international play. Players who did not earn a Q-School Tour Card are invited to play in the PDC’s Challenge Tour, where the top players can earn the right to play in individual Pro Tour events. Hungry players who missed out on a DPA Tour Card battle tooth-and-nail for prize money and a chance to grab vacant spots on the pro tour. 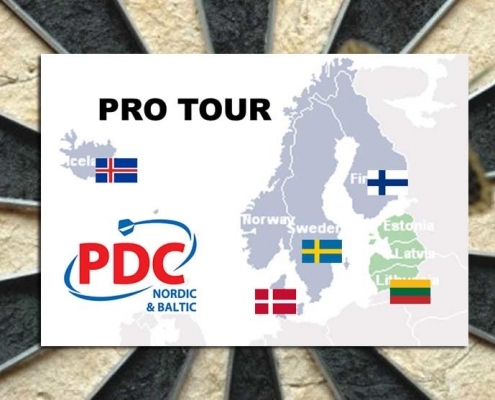 The CDC is North America’s officially sanctioned overseas tour of the Professional Darts Corporation and provides spots for US and Canadian players to represent their country in major international professional events. Get your FREE Guest Account to receive DCTV Fan Alerts for your favorite players! Get the Scoring App the Pros use & track your performance! 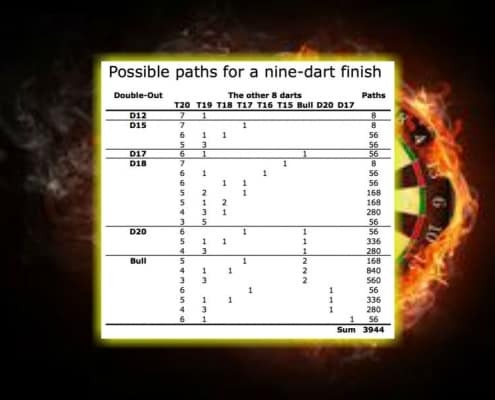 Whether you're headed to Vegas or not for the PDC World Series, this training guide is the ultimate tool for DartConnect power users looking to level up their practice sessions. 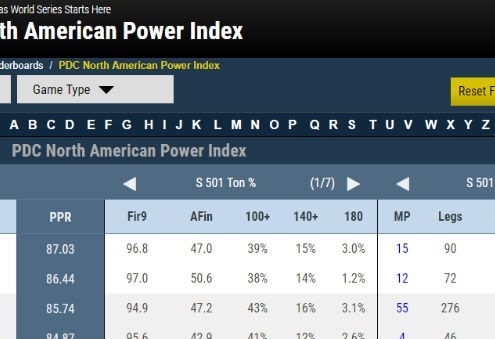 The Power Index lists over 750 North Americans that have been identified by the PDC and DartConnect as candidates to compete at this summer's World Series of Darts in Las Vegas! 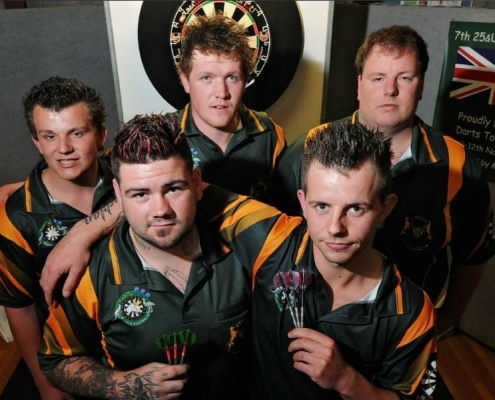 The PDC’s annual World Series of Darts Festival is almost here! 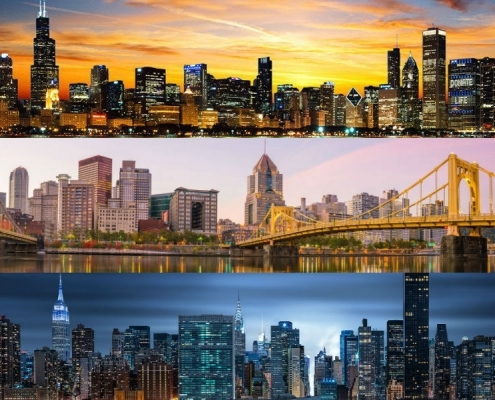 It’s North America vs the best in the world…are you in? July 2-5 in Las Vegas. 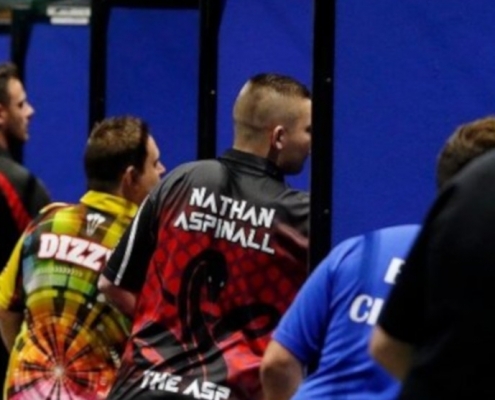 Just two years shy of earning his tour card, 27 year old Nathan Aspinwall has won the PDC UK Open, £100K first prize, and launches himself into the #16 ranked position in record time. 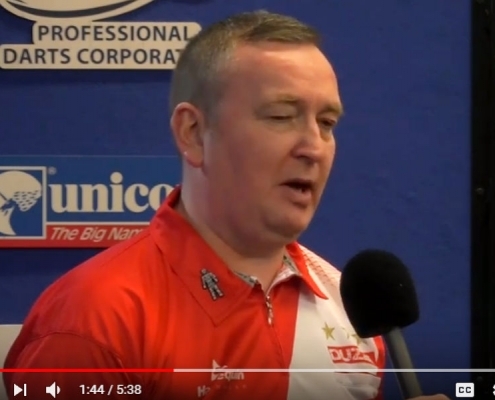 Glen Durrant: "there's no hiding place with DartConnect..."
Glen Durrant talks about his form in winning the 2019 PDC Players Championship 4 in Wigan, UK. 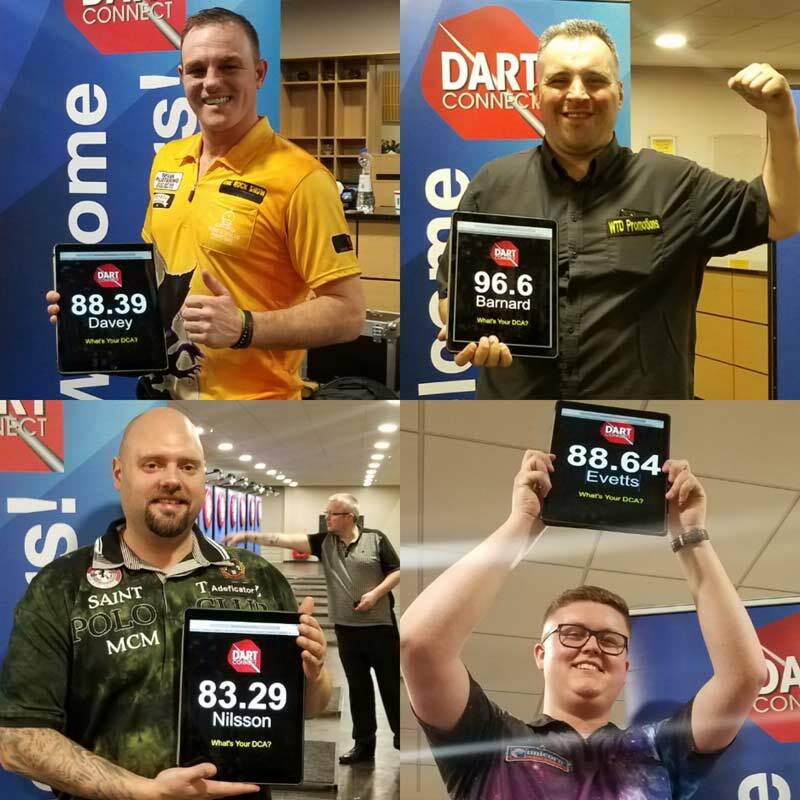 Opening weekend of the Professional Dart Corporation's Players Championship Tour broke event records with FOUR perfect games of 501 thrown by four separate players on the second day alone! On his birthday weekend, Paul Lim makes the tour finals for both Events 1 and 2, winning the second. 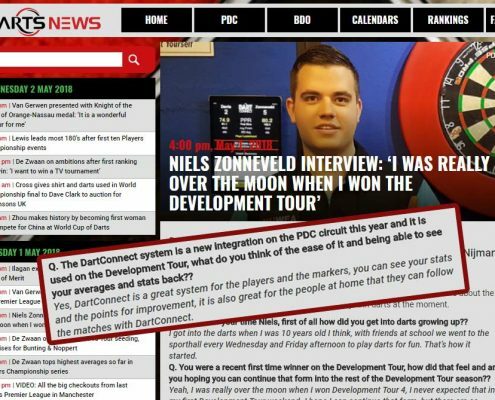 See the path of every tour card winner with links to details from all four UK Q-School events, including match reports, leaderboards, brackets and more. Not Ready for a Premium Membership? Play anyone, anytime, from anywhere (WiFi required). Premium members can invite guests to play for free. Practice against the DartConnect AI. Let DartConnect do the heavy lifting while providing the tools to promote league play. Tracking stats has never been easier. Fans can follow league matches on DCTV! Whether running a weekly blind draw or a major sanctioned event, DartConnect will promote your event, enhance the player experience and keep your event running on time.